OnTrack alumni - Where are they now? 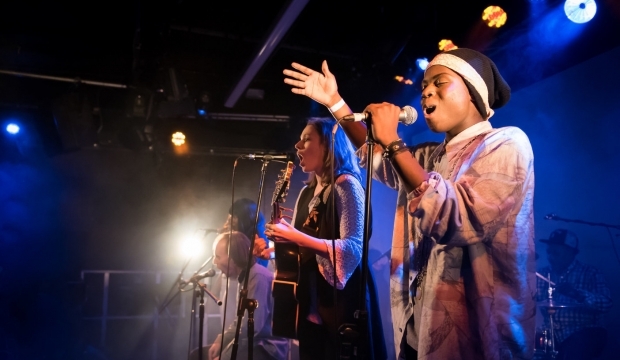 Each year at Roundhouse we run a music project for 16-25 year-olds not currently in employment, education or training, who have a passion and drive to create music. The project is called On Track and is supported by Universal Music. 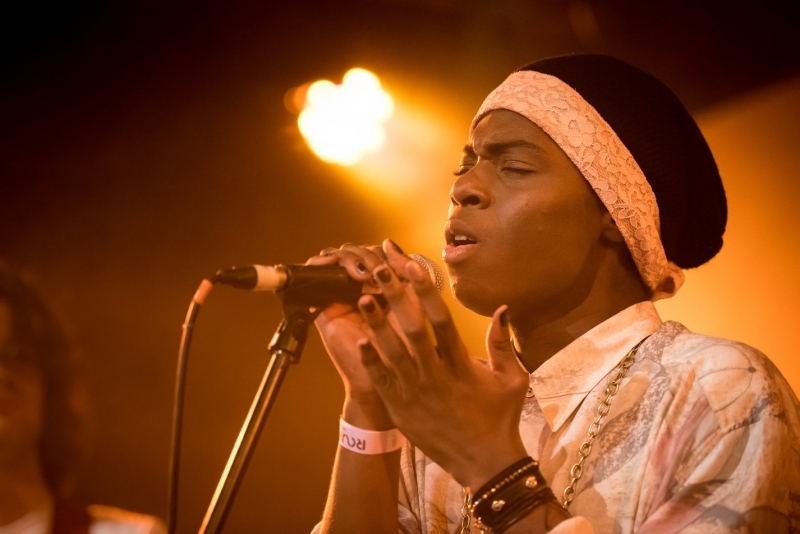 On Wednesday 21 March, this years collective put on a hugely successful showcase Concrete Roots, which saw fresh and diverse music spanning hiphop, indie, R’n’B, soul, jazz and more. We caught up with Sophie Kilburn and Kenan Kian, both alumni from the 2016 project, to find out what OnTrack means to them and how it’s helped shape the start of their career. For people who don’t know, how would you describe OnTrack? Sophie: OnTrack is a 12 week songwriting and performance programme giving you tools and techniques to improve your songwriting. The course stresses the importance of teamwork and collaboration and helps strengthen and lift each individual artist up to reach their potential. What made OnTrack special for you? Kenan: The way you collaborate. We recorded a song every day, it’s meant to be once a week but we were really working through songs all the time. A lot of projects talk about networking but the thing about OnTrack is that they really do bring in the right people to help you, with all kinds of things. It really helped me to understand how the business of music works as well as getting to grips with what I personally want to do. Sophie: I met friends for life on OnTrack who I have collaborated with since the project. It definitely taught me how to network successfully with people and the dos and don’ts on getting guidance from people in the industry. I was lucky to establish a relationship with Spider J (one of the OnTrack tutors) who supports me and mentors me on the industry to this day. Being part of OnTrack made me not afraid to ask questions about things I didn’t know about. Where did you think it would lead when you started the project (did you have any expectations or was it just a fun project)? Sophie: I did have an expectation of it being a thorough course. I was very lucky to have independent artist Eska running the course the year I was on it. After the course she even gave me guidance on how to progress as an artist. It was a complete learning opportunity for me to have experience writing with other people and also having that opportunity to perform to people instead of singing in my room. Because each person on the course had different music styles and abilities I knew the course would introduce me to other genres away from my own, and it did. What have you been doing since OnTrack finished? Sophie: I am currently a young trustee at the Roundhouse and am going to be getting involved in developing an emotional well-being support system for young creatives who use the Roundhouse. I am currently recording my debut EP ‘Blind by Daffodils’, which will be out later this year. I have done several programmes at The Roundhouse on music and on song-writing with professional song-writers. The Roundhouse referred me to an artist development programme called Amy’s Yard, which was run and created by the Amy Winehouse Foundation. I have been trying to find my sound and voice as an artist. Kenan: Straight after OnTrack I went and did the Amy Winehouse Foundation project, a connection I made through OnTrack. Then I went into a studio and recorded my own music for the first time which was lit. I did the Amy Winehouse foundation gala after that, with a red carpet and everything, which was cool. I’ve also been doing loads of shows, I did a couple of here [at the Roundhouse] and I’ve opened for Kioko a few times. What advice would you give to someone thinking about applying next year? Sophie: Firstly, go for it. Get involved with The Roundhouse as much as you can. OnTrack is one of the longer programmes which allows you time to absorb what you learn and practice it. Don’t be ashamed to be open about any struggles you have, whether financial or personal. You don’t have share your darkest secrets, but for me OnTrack was the right time for me to get back in my music. You don’t have to have BBC Introducing status or hundreds of followers to apply, the project is about helping you as a songwriter and performer, to improve your skills and do what you love. Kenan: Don’t be a diva and be ready to work hard. Be open and creative and be kind, because you never know who’s in the room. Learn how to be yourself. I was still figuring out my sound and what I wanted to do when went on OnTrack. From it I’ve definitely focussed more on music and doing my own thing. You got to do you. This year’s OnTrack music showcase Concrete Roots takes place tonight, 21 March 2018 at 7pm. Tickets are available here. 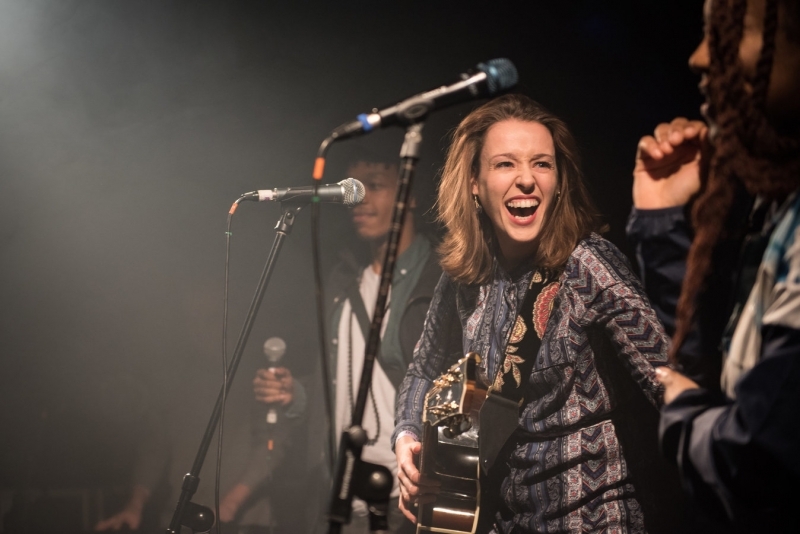 OnTrack is made possible with the support of Universal Music, Arts Council England, Paul Hamlyn Foundation, Joe Strummer Foundation and The Austin and Hope Pilkington Trust.